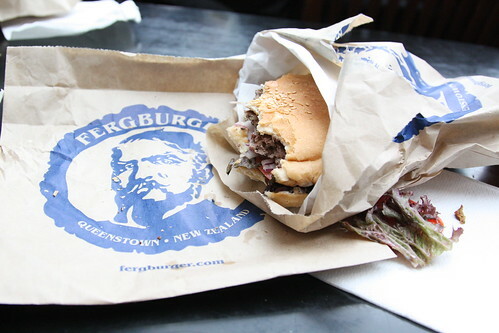 As Mos Burger was Japan’s burger, Fergburger was described as New Zealand’s Burger. Our house was conveniently located 5 minutes away from the main shopping village so we were all grinning ear to ear when we found this place without a dilemma. The lines for this restaurant is amazing – most probably due to fact that there is only one in store in New Zealand and it’s snow bunny galore. People still in their snow pants are cuddled outside the heaters in the courtyard, either eagerly waiting for a table or their take away order. For a big group like ours (10), I definitely recommend doing a phone order and eating in the comfort and warmth of your own home. 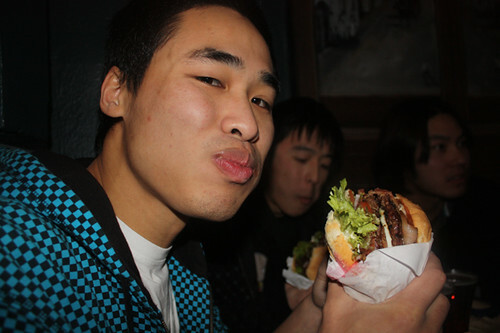 The burger itself is enormous, which kept all the boys throughly happy.. up until they were thumping their chest as they felt like a heart attack coming along. The burger didn’t live up to the stories of what I’ve heard – the patty was rather dry and the buns were mediocre; the two main things I personally look for in a good burger. Although, there is something about the sauce, Fergburger has defined “their” sauce as much as how McDonald’s has their mac sauce, and it’s probably the aioli that has saved them. Hello, from Christchurch in New Zealand! 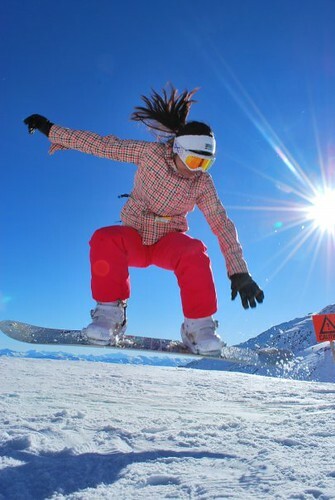 My group of friends are keen snow bunnies, so this year we finally got our act together and planned a trip to New Zealand for the snow fields. I have to say, the snow is amazing – it may look deceivingly difficult but it is in fact crazy soft and powdery. We didn’t have many food adventures as our main purpose is to snowboard.. but I still have a few to share. Posted in New Zealand | Comments Off on Kia Ora!